Have you looked at PHP and hated the clunky bloated syntax? Or looked at .Net and wished it was more open and flexible? Maybe you've tried your hand at GUI libraries in Python and found them hard to use? If your answer to any one of these questions is a yes, then this is just the book for you. It is also intended for people who know the basics of Python and want to learn how to use it to build powerful solutions with a web front-end. This book will take you on a journey from learning about web development using Flask to building fully functional web applications. In the first major project, we develop a dynamic Headlines application that displays the latest news headlines along with up-to-date currency and weather information. In project two, we build a Crime Map application that is backed by a MySQL database, allowing users to submit information on and the location of crimes in order to plot danger zones and other crime trends within an area. In the final project, we combine Flask with more modern technologies, such as Twitter's Bootstrap and the NoSQL database MongoDB, to create a Waiter Caller application that allows restaurant patrons to easily call a waiter to their table. This pragmatic tutorial will keep you engaged as you learn the crux of Flask by working on challenging real-world applications. This book will provide you with rich, practical experience of Flask. 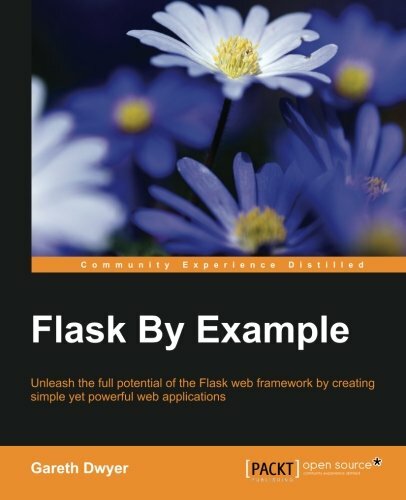 Every technology, that is employed along with Flask is comprehensively introduced, while the book focusses on developing web applications. Pointers to educational material are always given if you want to gain in-depth knowledge of the various technologies used.